Buy 2 or more get 10% off. Buy 4 or more get 20% off. Want to play your videos and use your files anywhere, on any Windows PC? Great for all teachers. Fantastic for Supply Teachers. 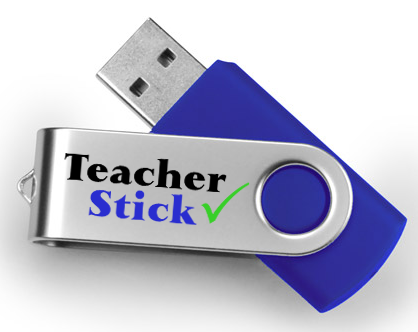 Avoid school YouTube blocks by always having the video you need with you on your TeacherStick. See what videos are included in the Video Collections menu above. Don’t be affected by school Youtube blocks. Always have your videos with you. Postage is Royal Mail first class next day delivery to the UK (order by 4pm), Zero VAT charged for school use. If you do not have a PayPal account don’t worry. When you get to the PayPal checkout there is a box to tick for those without a PayPal account. You can then enter your credit or debit card details. The transaction is handled securely by PayPal.